The STEIN EVO-X25 are designed as a weather-resistant over trouser, with user comfort and a stylish look. The outer material of the over trouser has a DWR treatment applied to it while being breathable and tough. Each one of the seams are sealed for increased protection against the harsh elements and wet weather. They feature an inner mesh lining which is designed to help wick away sweat working in conjunction with the outer material. It has an elasticated waist with Draw String which allows for an overall improved fit no matter what body type you are and 2 press-studs at the ankles for adjustment and comfort. 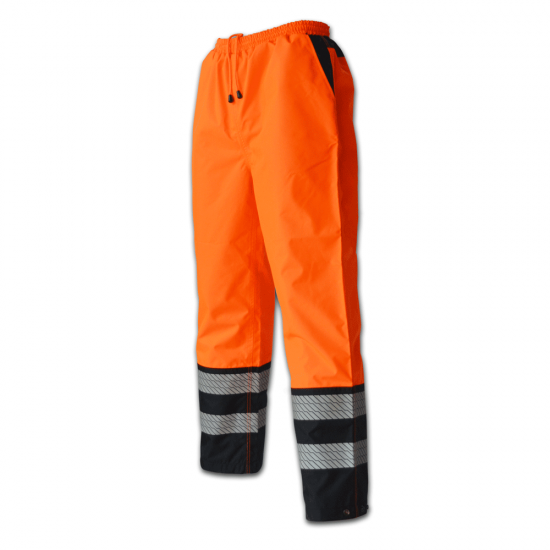 These Trousers are an essential item of clothing for any wet day in all weather conditions. DWR treatment stands for Durable Water Repellence, this is a chemical coating that has been applied to the fabric to increase its ability to shed water and keep you dry and comfortable. 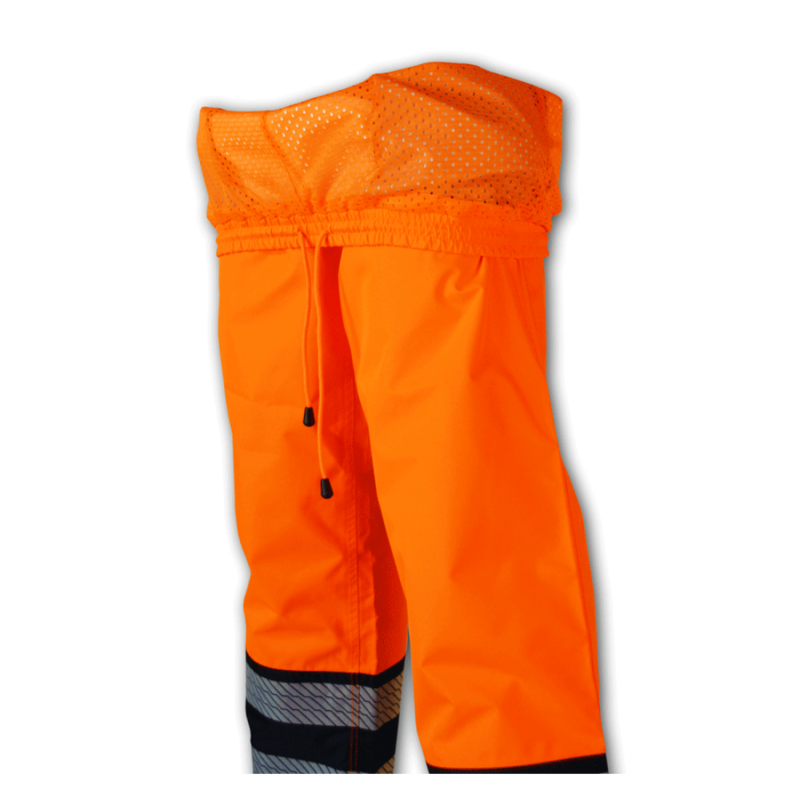 It helps prevent the trousers from absorbing water and getting heavy, therefore keeping you dry and comfortable when out on the job. This also improves the material's breathability. The trousers come with a hydrostatic head rating of 20,000mm. This is the measure of how much water the fabric can hold while keeping waterproof or more accurately it is the measure of water pressure equivalent to 2.0m of water.